Capital Air Balance, Inc., was established as an independent HVAC Test and Balance agency in 1994. The corporate office is based in Terry, Mississippi. In addition to its history of serving the state of Mississippi as the Magnolia State’s leading HVAC Test and Balance Agency, CAB has the capacity to perform testing and balancing to a wide area of service including Alabama, Arkansas, Florida, Georgia, Louisiana, Tennessee, and Texas. The mission of Capital Air Balance, Inc. is to provide the highest level of quality workmanship, reliable reporting, and customer service to every client. 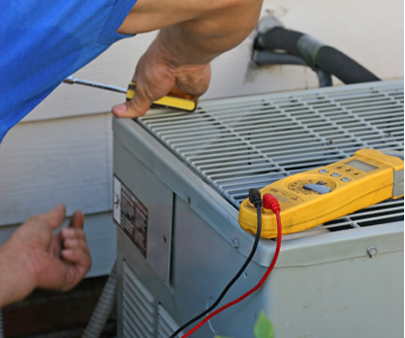 We accomplish this with skilled, certified technicians who utilize state of the art equipment to maximize the performance and efficiency of all HVAC systems. Capital Air Balance, Inc.’s reputation for quality and efficiency has enabled the company to be the preferred HVAC Test and Balance Agency in the state of Mississippi. Capital Air Balance has sufficient staff and resources to handle the workload peaks without sacrificing quality or adversely affecting other ongoing projects. At CAB, we feel we are large enough to provide competitive, expeditious service, yet small enough to care about the complete satisfaction of our clients. We are optimistic in looking forward to the future and all the opportunities and challenges it will bring.